Ashley Phelps' Berkeley start-up traded chemicals for plants in its new line of arts and crafts paints. Ashley Phelps' big idea was born of sore hands. That, and cactus-pigmented house paint. The Berkeley artist had long suffered for her art: Although painting left her hands irritated and red, she'd been doing it for nearly twenty years. Sensitive skin meant she couldn't ignore the chemicals endemic to her work. Instead, the turpentine in oil paints and formaldehyde in acrylics were a constant reminder that she was working in a toxic medium. "I thought, 'Wow, I've really been abusing my hands,'" Phelps said. "I was using all these horrible chemicals when I was doing decorative house painting. 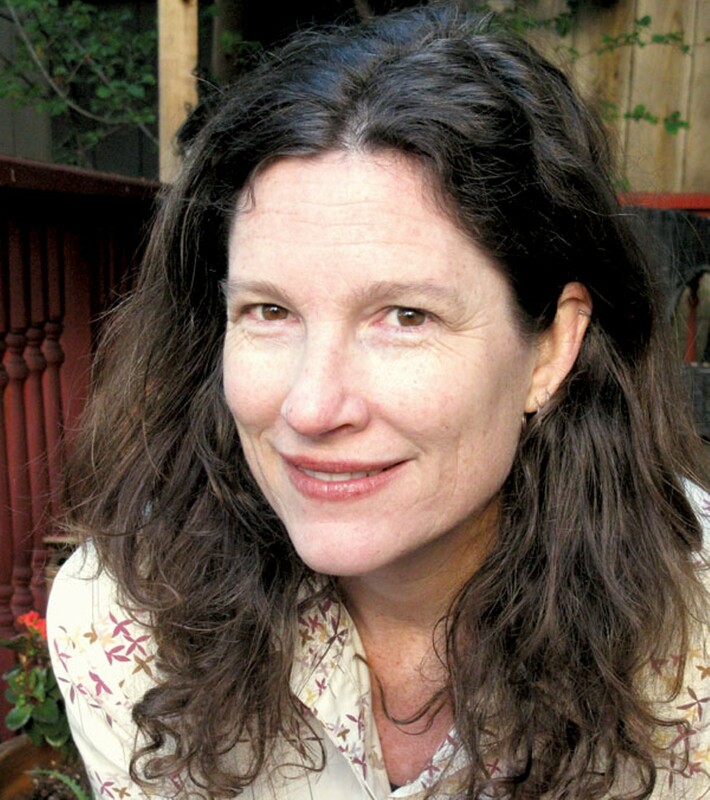 Most artists use horribly toxic materials, and have a very cavalier attitude toward it." That's where the cactus paint comes in. One day about two years ago, Phelps' landlord arrived at her building with a batch of exterior house paint colored with cactus pigment. The landlord, who happened to be a chemist with three Ph.Ds in chemistry from UC Berkeley, had made the paint himself. He explained this to Phelps, and a light went on in her head: All-natural, entirely non-toxic paints were the answer. "I had never thought about making a product before, much less something like that," she said. But she decided to go for it, and before she knew it was immersed in the world of paint production. She left her job as a web designer and picked up part-time freelance work while pursuing her new passion. After a year of development, Glob Natural Paints and its line of eco-friendly arts and crafts paints was born, and so was Phelps' new full-time gig. Her water-soluble paints, colored with fruits, vegetables, flowers, spices, and minerals, have been available since December 2009. Although the use of natural ingredients for color pigment is as timeless as art itself, Phelps said she's now the sole commercial producer of botanical, plant-based craft paints in the United States — and one of only a few in the world. Most consumers are familiar with low- and no-VOC (volatile organic compounds) options for interior and exterior house painting. All of the major brands, from Kelly Moore to Ralph Lauren, offer lines that are friendlier to the environment. But the world of arts and crafts paints has generally been less regulated, and truly green options are often difficult to identify. 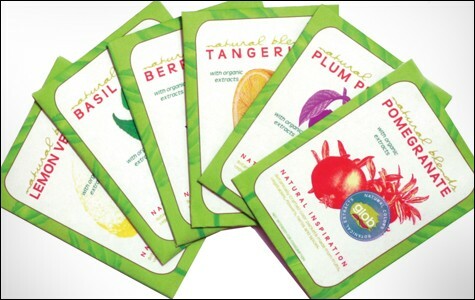 The words "non-toxic" on a craft paint label, Phelps said, are more or less arbitrary. "Basically, you just need to find a toxicologist and have them evaluate what is in your paint, and they make a judgment whether they feel if certain levels would have toxicity based on their normal use," she explained. As a result, chemicals that are toxic when ingested can be labeled as non-toxic, even when intended for use by children, simply because paint isn't meant to be ingested. Further, Phelps discovered, additives that have yet to be evaluated are allowed to be branded "non-toxic." They're innocent until proven guilty. The primary non-toxic certifying body for arts and crafts paints isn't the most impartial of judges, either. Not only was the Art & Creative Materials Institute co-founded by Crayola, but it charges producers a recurring fee for certification, meaning smaller companies may be priced out. Yet the institute's AP (Approved Product) certification has established itself as a benchmark upon which many consumers base their purchases. All of this set the stage for Phelps' foray into the market. Over the past six months, she said, customers have been highly receptive to the idea, sales have been steady, and interest has trickled in from around the world. Sales reps in both Oregon and the East Bay contacted her independently earlier this year and helped secure distribution throughout California, Oregon, and Washington — including five locations in Portland alone. Art supply stores in Illinois, Maryland, Canada, and Australia have also asked to carry her paints. 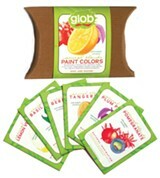 Glob paints are available in two forms: just-add-water powders and ready-to-use liquids. The former are made from food-grade pigments including lemon verbena, tangerine, pomegranate, and basil. Technically, they're edible. The liquid paint features both cosmetic- and food-grade ingredients, including a cosmetic base, cosmetic preservatives, and some mineral color additives such as iron oxide. Both types are sourced throughout California and occasionally beyond, manufactured at a plant in Austin, Texas, and packaged by Phelps herself in her downtown Berkeley apartment. Incidentally, the lack of chemicals has its cost. Glob paints are not archive-quality, meaning they'll deteriorate quicker than formaldehyde-laced acrylics. She estimates her dry-mix paints will last around ten years before fading (fewer if they see a lot of sunlight), and the liquid paints about twice as long. That's not ideal for professional artwork, but is more than adequate for casual arts and crafts projects, especially if children's masterpieces can outlive their fridge-door galleries. To Phelps, it's a small price to pay for healed hands.